For so long I have struggled with blackheads. There is nothing worse than looking into one of those close-up mirrors and seeing all your blackheads hanging out together. I have tried many many products to get rid of them from charcoal face masks to homemade products using baking soda (I heard this is good for the pores btw). NOTHING HAS WORKED. I want these bad boys to be gone. 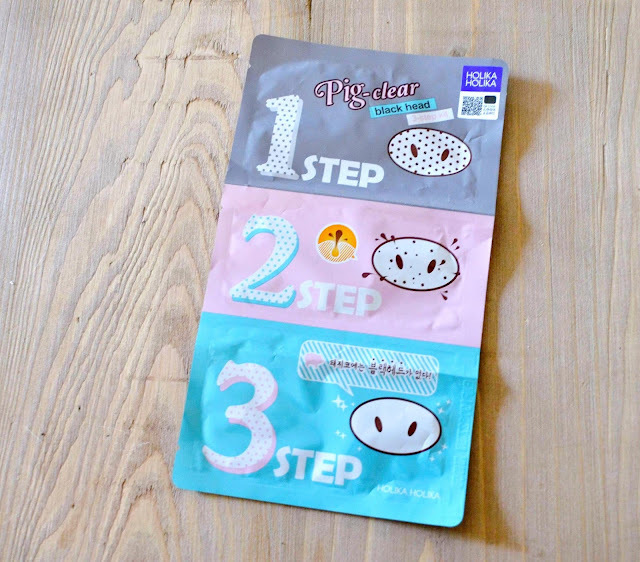 After doing a little soul-searching I found this brand by Holika Holika called Pig-Nose, it's a 3 step (1 pack) blackhead pore strip. I purchased this from Amazon for £5.49. I wasn't too pleased I spent that much on a one-time thing and was hoping it would be a miracle product and take every single blackhead off my nose. Before buying this I wanted to do some research to see if this is good or not, but me thinking I clicked the 'bag' button... I accidentally clicked the 'Buy with one click' button, whoops. The first strip is a wet mask sheet that helps your pores open up. It was very slippery, so it was quite hard to put on at first. It was advised to leave this on for 15 - 20 minutes, and as I have a lot of these, I always like to keep it on for the whole 20 minutes. I didn't feel anything had worked although when I did take this off, I looked into a mirror and I could see that my pores had opened up. After I had rinsed my nose, I was tempted to have a good squeeze on the blackheads, but I managed to stop myself. 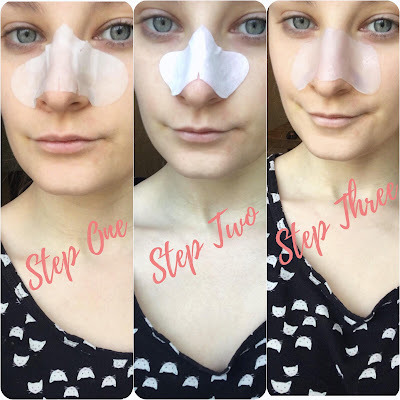 The second strip is a regular blackhead strip, before putting this on you need to wet the nose thoroughly as it will stick on better and hurt less when taking it off, then place it on for 10 - 15 minutes. I absolutely love these as I'm one of those that enjoy seeing the dirt and blackheads come off on these. It's disgusting but it's like squeezing a spot, it's sooooo satisfying. Again, I like to leave it on a little longer just to make sure every one of them comes off (I wish!). I pulled it off and was very disappointed to see that there were hardly anything on there. I've used cheap strips from Wilko's before and I've had better results. I was trying to be happy and smile on the fact that I spent nearly £6 on something that hasn't worked. As there is still another step, I thought I'd give that one a go too. The final strip was a tightening gel mask, this felt very refreshing and is meant to tighten the pores. It was hard to put on as it was verrryyy slippery and gooey. The instructions said to gently 'tap' it for better absorption... I didn't get the memo to what they meant, and I couldn't see anyone doing anything special in any review videos, so ignored the 'tapping' part. Once it was off, my skin felt very refreshed indeed. I wasn't that best pleased with the results. I did notice however that it was easier to squeeze my blackheads straight after, probably shouldn't have done this but a lot of blackheads did come off. 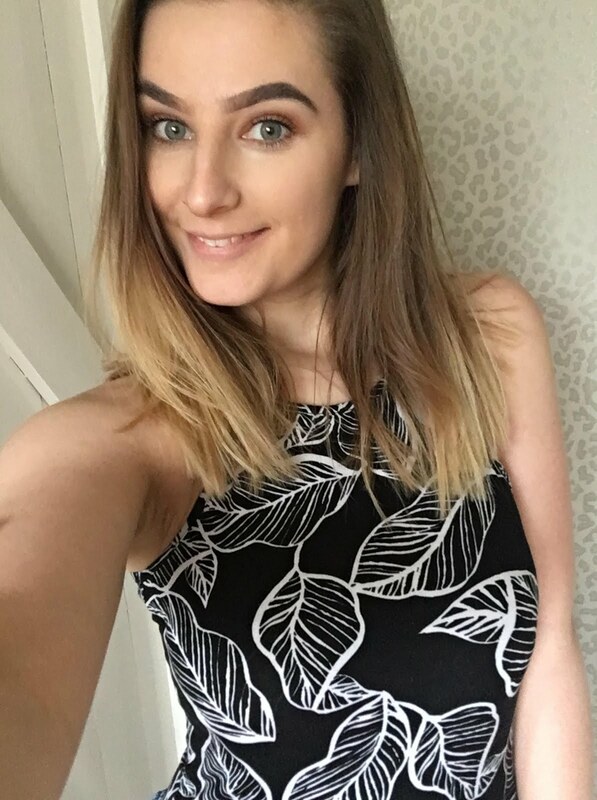 BUT I don't want to say not to try it yourself as it could work on you, as it has worked on other people in the reviews that I have seen, just don't get your hopes up too much. Let me know if you have tried this product before?